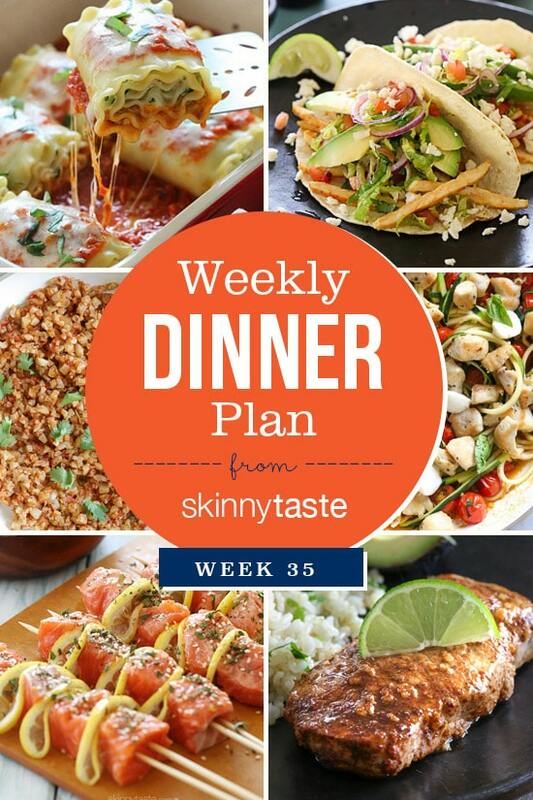 Skinnytaste Dinner Plan (Week 35). This has been a crazy, hectic, fun week with family and friends visiting from abroad and down south. This means lots of time on the beach and lots of grilling and good food! Balancing dinners out with friends, I’m keeping things light and easy in the kitchen. I love your recipes! I liked how in your early weekly plans you included a categorized shopping list (spices, produce, etc. ), as opposed to recipe specific list. Perhaps others didn’t like that, but I found it a bit easier to make sure I had anything at the store. I hate to complain… I really do appreciate all of your efforts & the know leg you share! Question: what could I use as an alternative for red pepper flakes? My hubby is a bit allergic to them, but loves spicy foods! 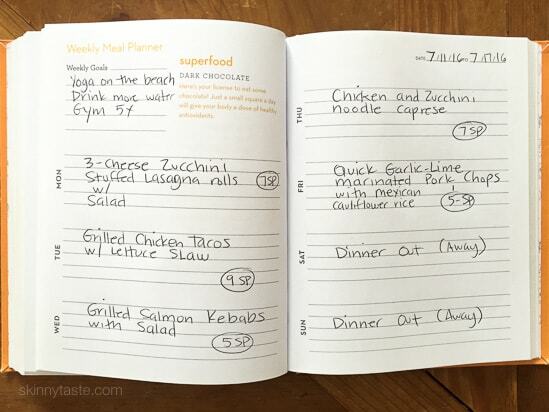 It would be nice if you could include what you eat for breakfast, lunch and snacks in your meal plan for the week. I have your cookbook but it doesn’t have points in it as you do here. May I ask why? I made the roll ups and julienned veggies last night. There were delicious though very garlicky which was ok because everyone ate it ????. I had a bit of a problem with the mandolin so next time I’m going to try the spiralizer. I don’t use it very often.